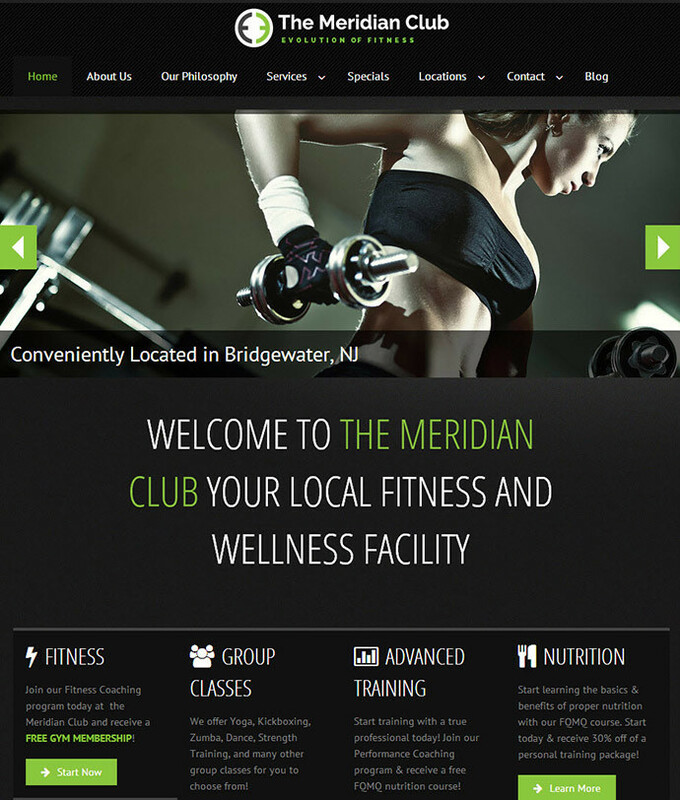 Located in Bridgewater, NJ, The Meridian Club is your health and fitness solution. Their goal is to provide a community based environment where the whole family can benefit from their cutting edge holistic approach to fitness. This site makes extensive use of dark colors and and green highlights and white text gives a great feel overall. A prominent home slider and large images throughout gives stunning visuals across the site.